The book provides a synthesis of a broadly-based social-psychology of education and bridges the gap between theory and practice in education by emphasising the relationship between research and actuality. 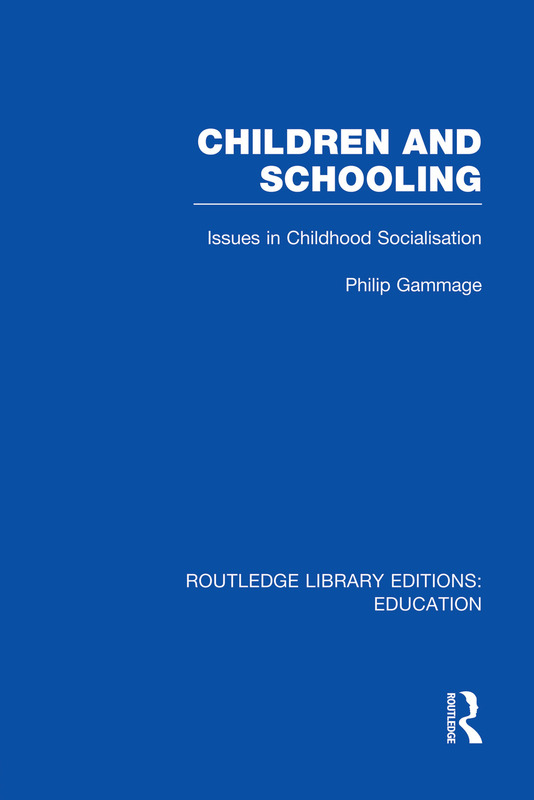 The author discusses the major issues in childhood socialisation relating to schooling, achievement and the curriculum, and in so doing makes a sensitive and well-argued case for the social-psychological perspective.He presents a social-psychologist’s view of the interaction between child, school and curriculum, and summarises mainstream psychological contributions to current thinking on achievement, self-esteem and education. He covers areas of social learning and attribution theory not commonly dealt with in education texts, showing that there are major fields of research which have until now been neglected. Children and Schooling is constructed so that its chapters can be used as independent study-guides to specific subjects or read in sequence, each subject inter-related. The text can be treated as an introduction, particularly in view of the notes and comprehensive and apposite scholarly apparatus: and as a spring-board for serious study at advanced level.